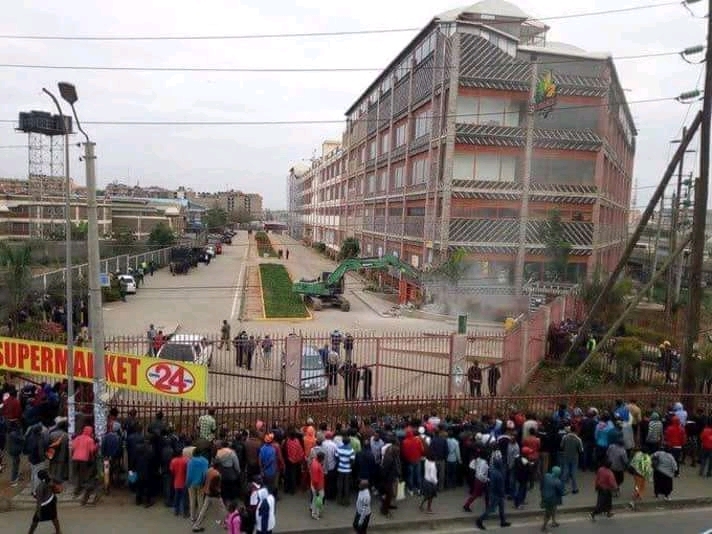 Taj Mall Demolished: The demolition of controversial shopping mall Airgate, which is more popularly known as Taj Mall has kicked off. 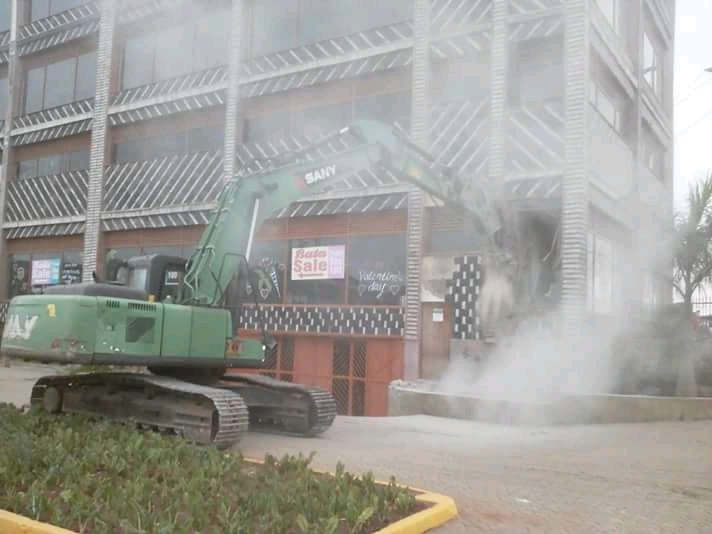 Already, tenants at the building had already vacated to avoid the destruction of their property. The Taj Mall is owned by Mr Rameshchandra Govino Gorasia, who had been given 14 days to bring it down. However, he refused to do so claiming that his land documents were legitimate and legal. 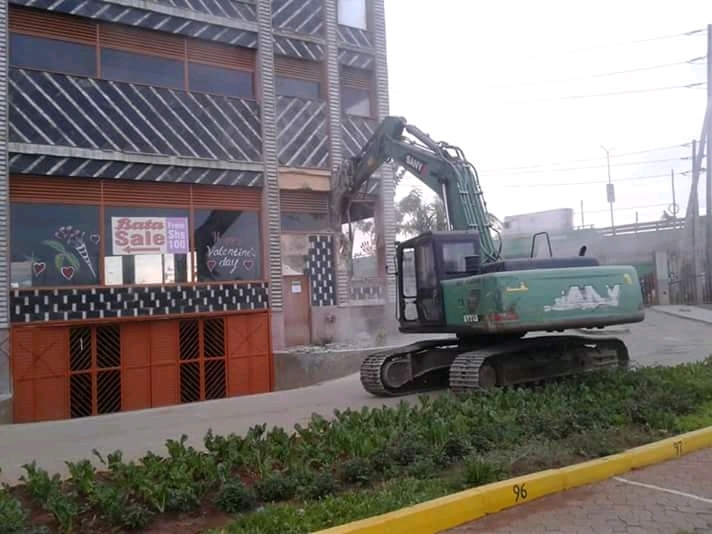 The demolition ofbthe mall began at about 6.30 am, with the police standing guard and blocking the public from the shopping complex. 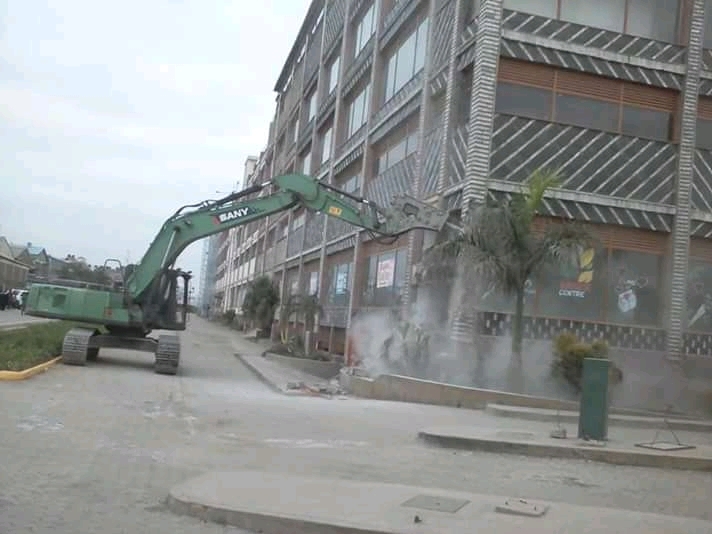 The mall is one of several structures that have been destroyed as the government seeks to reclaim road reserves and riparian land. The operation is being overseen by the Nairobi regeneration team.